The loops from the wrong side are pulling over to the right side! 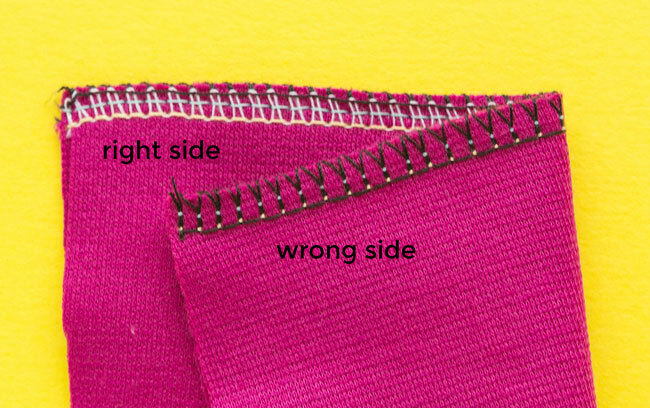 If the lower looper thread loops are visible on the right side, they’re either too loose or the upper looper thread is pulling them too tight. So you can either turn the upper looper tension dial down or turn the lower looper tension dial up. Adjust them one at a time, a little at a time, sewing a test swatch each time until the loops are staying on their own side. I can see the stitches from the right side when I pull the fabric pieces apart! 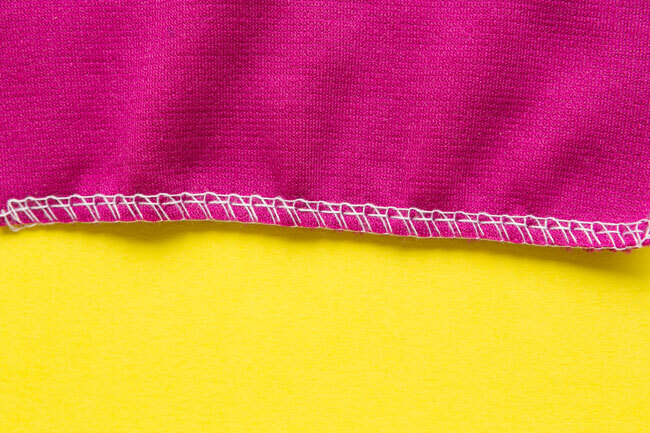 If you can see the straight needle stitches from the right side of the seam, the needle tension may be too loose. 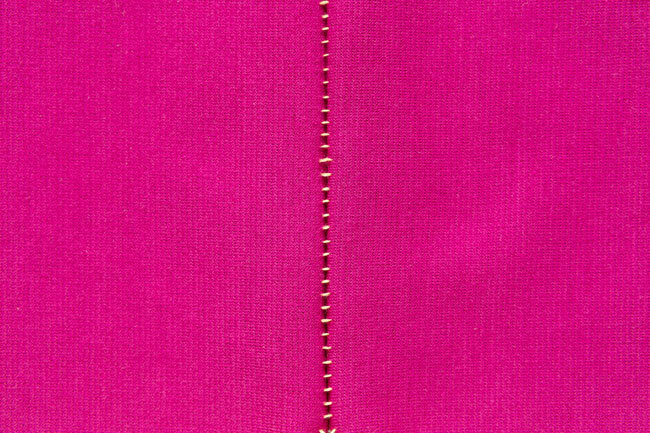 Turn the needle tension dial up, little by little, until the stitches are no longer visible from the right side of the seam. The seam looks stretched out! 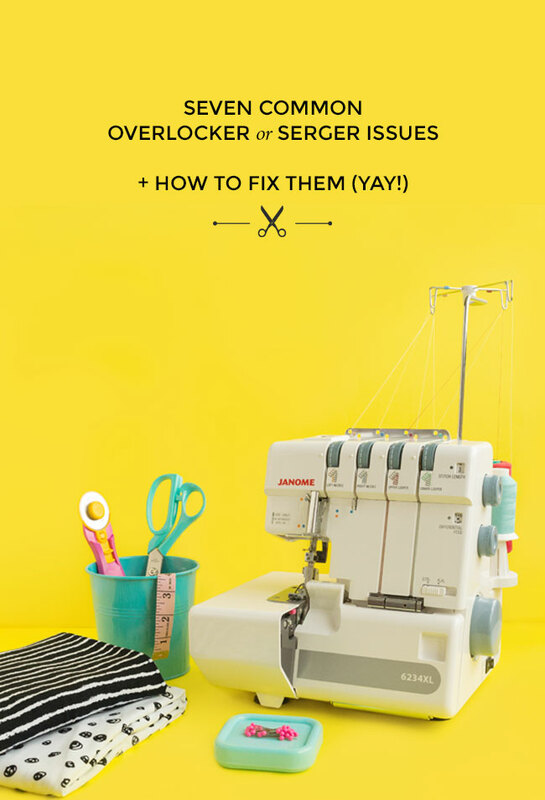 If your overlocker (serger) has a differential feed lever, turn it up to stop the back teeth pulling the fabric out from under the presser foot faster than it’s being pulled in. 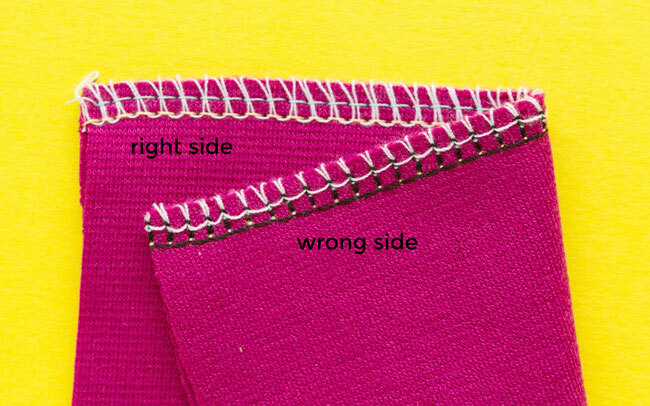 Or a stretched seam could indicate that the presser foot ispressing down too hard on the fabric – turn down the presser foot pressure dial if your machine has one. 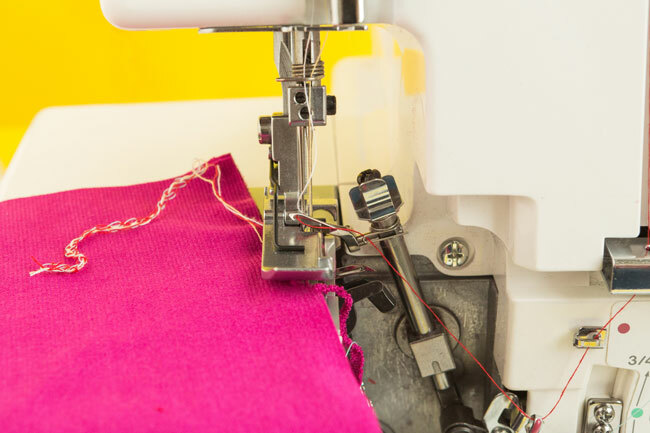 If your machine has a differential feed lever, turn it down to stop the front teeth pulling the fabric under the presser foot so quickly. Or it could be because the presser foot isn’t holding the fabric down firmly enough – turn the presser foot pressure dial up if your machine has this feature. The threads snapped when I started sewing! 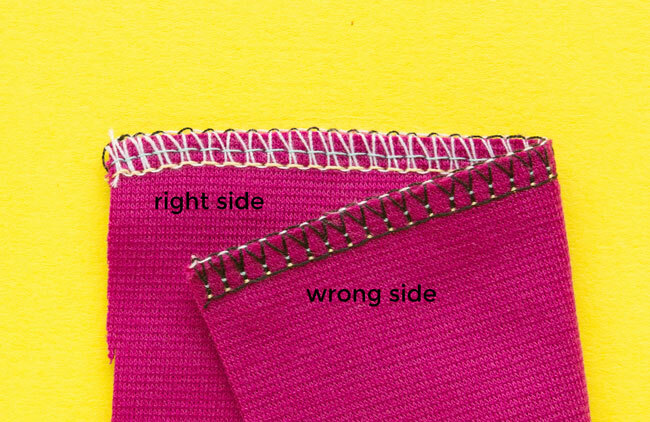 Check that you’ve threaded the machine up correctly and in the right order – remember the lower looper thread should sit on top of the upper looper. If it’s threaded properly, try loosening the thread tension dials so the thread isn’t being gripped so tightly as it goes through the machine. When I stretched the finished seam, the stitches popped! 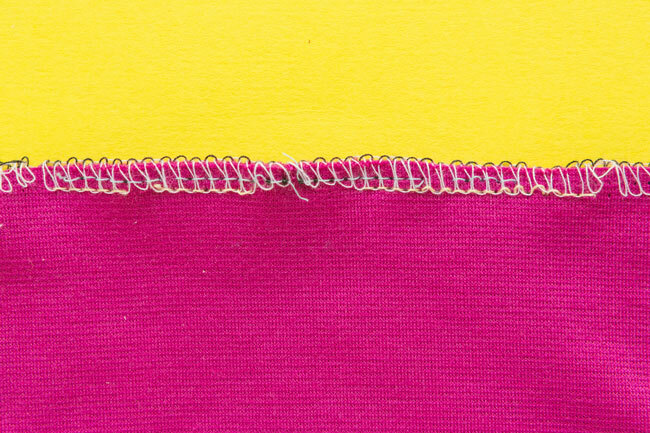 If the needle thread breaks when you stretch the seam, the needle thread tension may be too tight. Loosen it slightly by turning the tension dial down. 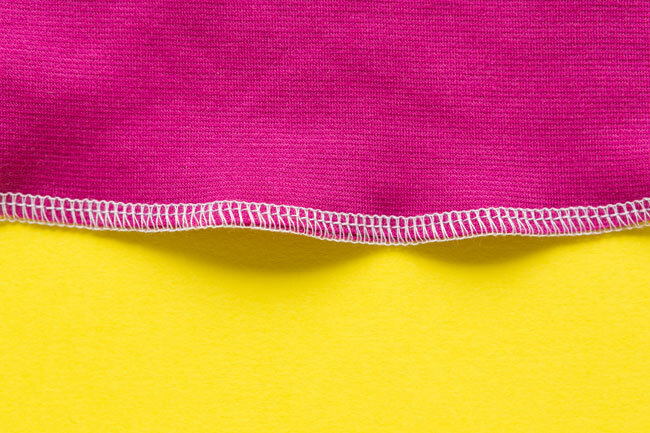 Sew a test swatch, and loosen it slightly more if needed. Also check you’re using good quality thread – you get what you pay for!